Buildings around Frankfurt’s central Römerberg square (and myself) are reflected in a soap bubble, July 24. 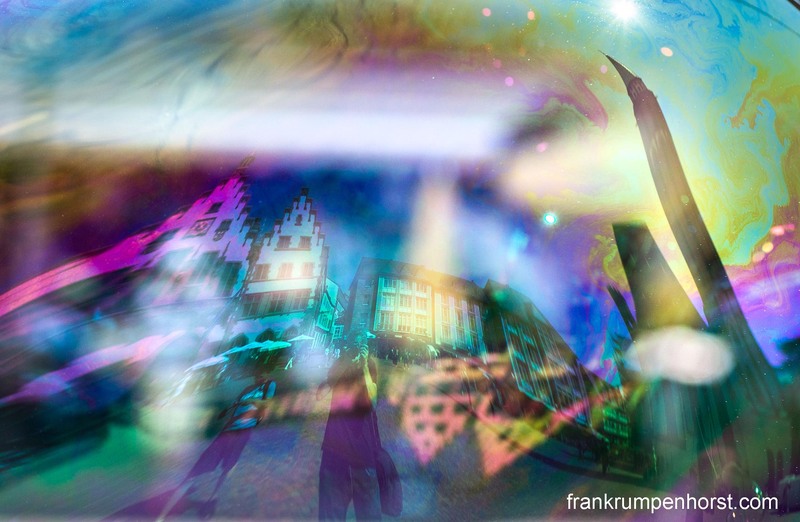 This entry was posted in germany, Photo, Photography and tagged bubble, colors, colours, distorted, foto, fotografie, psychedelic, rainbow, reflection, soap bubble. Bookmark the permalink.